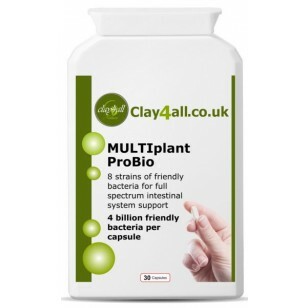 MULTIplant ProBio is a high strength, multi strain probiotic supplement with 4 billion friendly bacteria per capsule, which is equivalent to 8 tubs of probiotic yoghurt but without the added sugar, dairy and fat. MULTIplant ProBio provides 8 strains of friendly lactic bacteria which should inhabit a healthy gut and offers full range support of the upper and lower bowel. This probiotic has been especially formulated for natural health practitioners who treat digestive and intestinal disorders. It is ideal for use following antibiotics, travelling abroad and colonic hydrotherapy treatment. Bad bacteria and pathogen overgrowth. Bad breath and coated tongue. Coeliac disease, Crohns disease and ulcerated colitis. 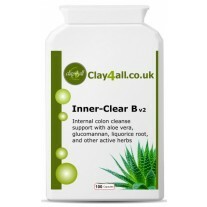 Digestive problems (including constipation and diarrhoea). Flatulence – excessive and foul smelling. Capsule: Hydroxypropyl Methylcellulose (HPMC) (Vegetarian), Anti-caking Agent: Maltodextrin (Non-GMO), Anti-caking Agent: Magnesium Stearate (vegetable source), Lactobacillus Casei, Lactobacillus Rhamnosus, Bifidobacterium Breve, Streptococcus Thermophilus, Lactobacillus Acidophilus, Bifidobacterium Longum, Bifidobacterium Infantis, Lactobacillus Bulgaricus. 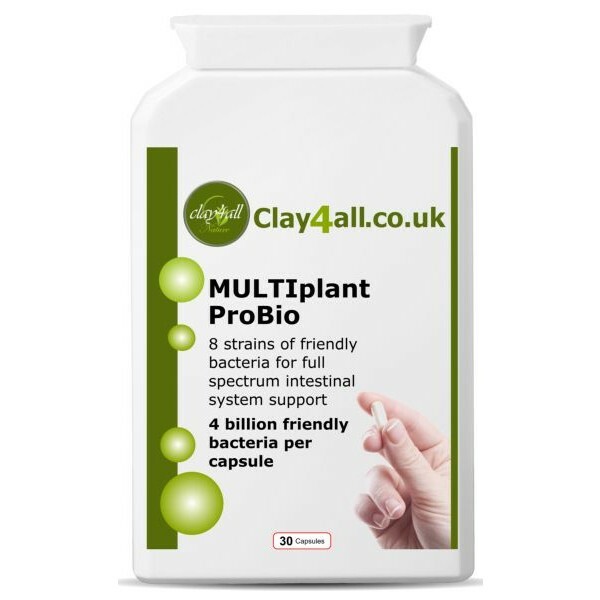 If MULTIplant ProBio is taken alone (as opposed to in combination with other digestive health supplements) you could start off with 3 - 4 capsules, split up throughout the day with food for 2 - 4 weeks. Thereafter, reduced intake to 1 capsule, 1 to 3 times per day before meals or as advised.